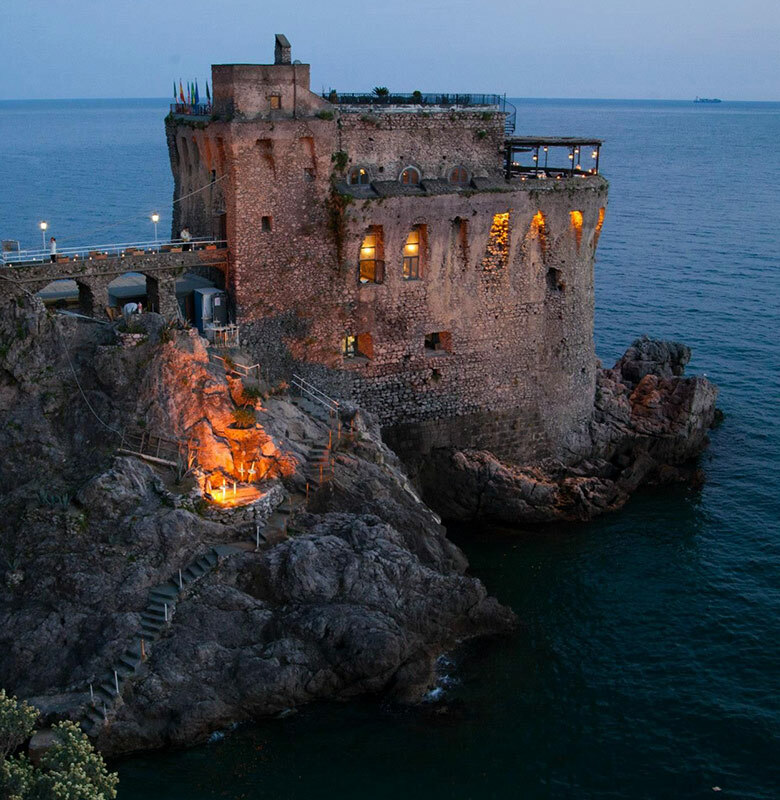 Torre Normanna is undoubtedly one of the most fascinating venues set on the cliffs of the enchanting Amalfi Coast. 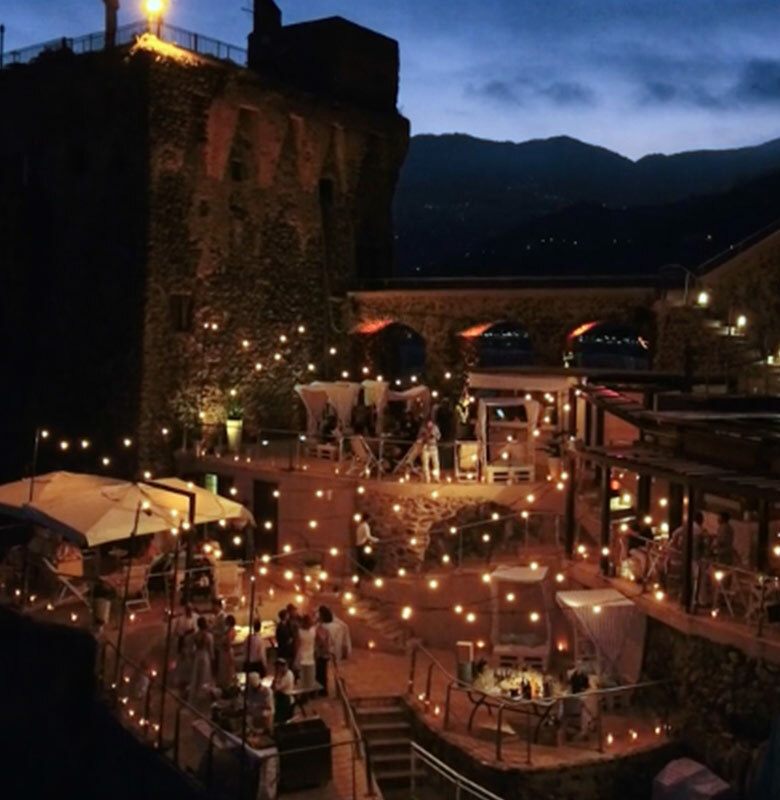 Built in 1300 as a watch tower, today the rustic tower transforms every event by mixing the use of their indoor or outdoor space. 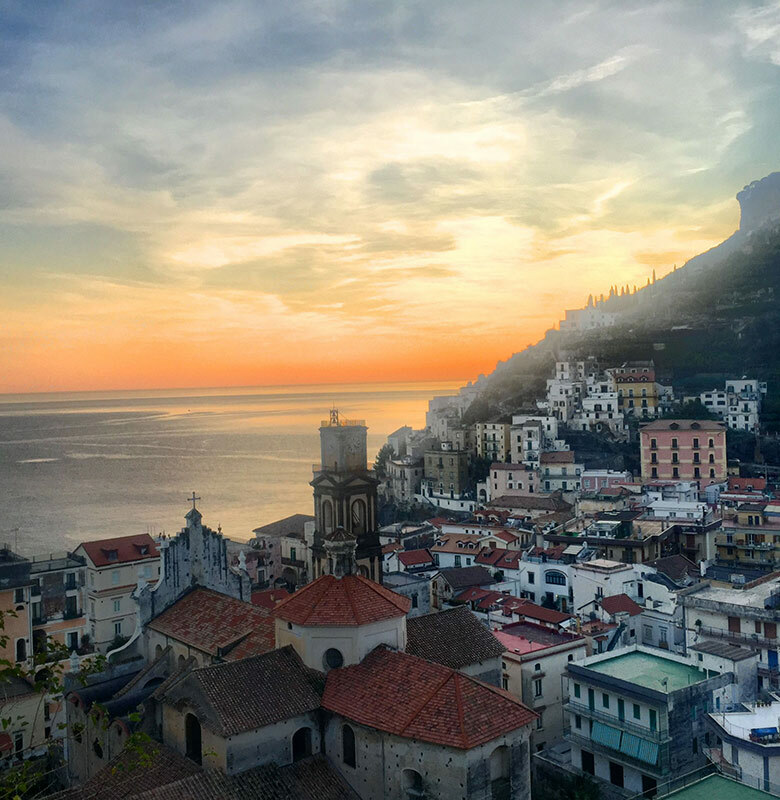 The venue has three different spaces: Bellavista Terrace has magnificent 180 degree views of the Amalfi coastline; the intimate Norman Room is characterised by stone walls ideal for small ceremonies or special events; and "The Cliff” boasts several outdoor terraces that hug the side of the cliff leading the water's edge - perfect for aperitif or welcome drinks. Paired with refined local cuisine and impeccable service, this historical waterfront venue is unique and ideal for intimate weddings and celebrations. 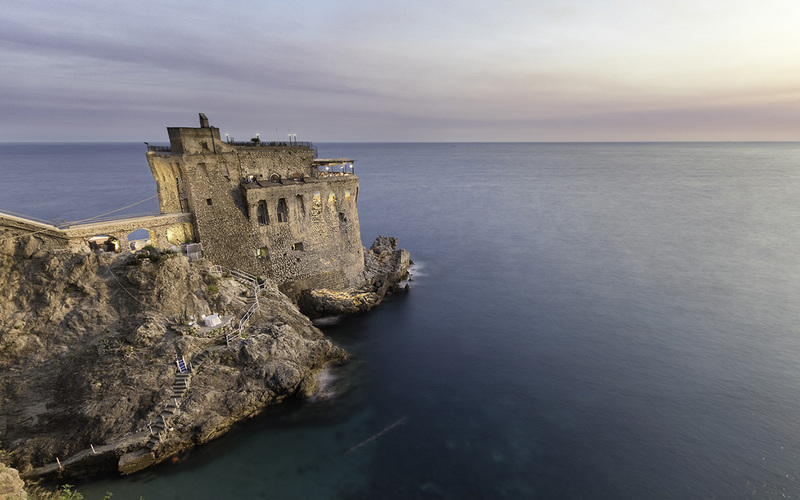 A fascinating, historical waterfront location for an intimate Italian wedding. Receptions: Aperitivo outdoors and indoors. Dinner outdoors and indoors.